Here’s everything you need to know to get your database working on Heroku. 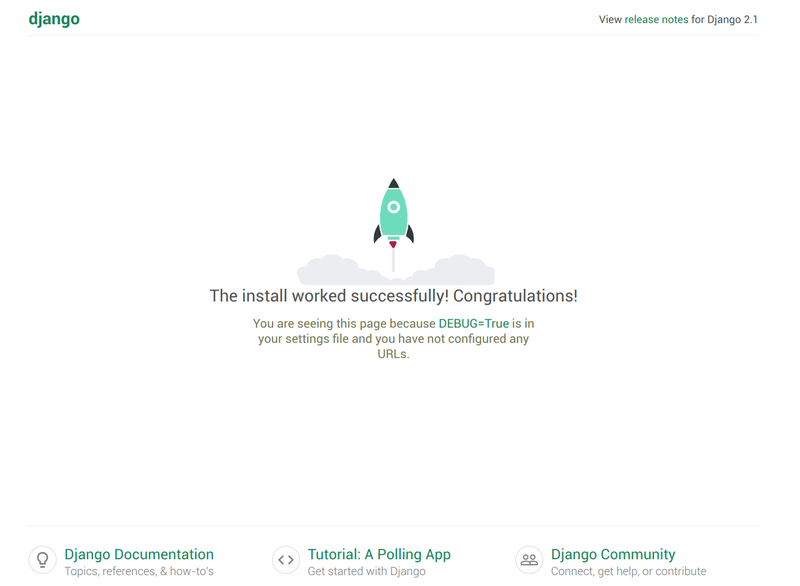 Deploying a Django app successfully to Heroku is far from self-explanatory. In a different post, I outlined how to get barebones Django running as a brand new Heroku app. But Django isn’t very useful unless it has a database to talk to, and Heroku doesn’t work with Django’s default SQLite database. 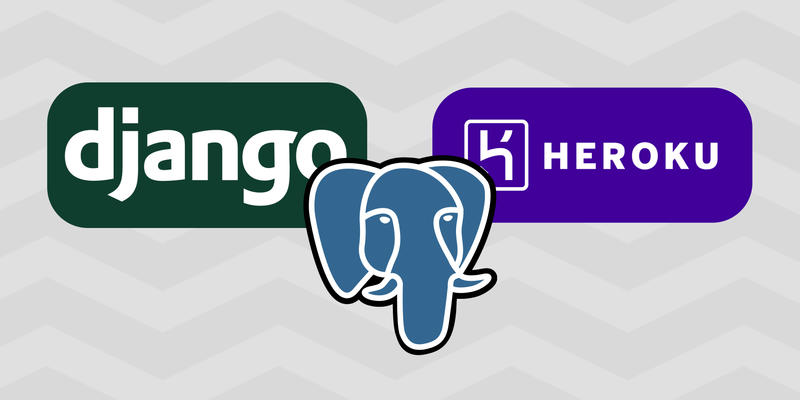 Luckily, Heroku Postgres databases are free or cheap for hobby developers. In this guide, I’ll show you how to set it up. Let me make it clear what we’re doing here. That local version of the Django app is using db.sqlite3 as its database. However, when we visit the Heroku version, YourProjectName.herokuapp.com, Heroku will need to use a Postgres database instead. What we want to do by the end of this guide is get our app running with SQLite whenever we’re working on it locally, and with Postgres whenever it’s in production. If you followed the steps in my last guide, Heroku already created an instance of Postgres for our Django app. You just didn’t know it. I’ve removed the database info from the code snippet above because this URL is literally your database’s location and access credentials all in one. Anyone with this URL can access your database, so be careful with it. You’ll notice that Heroku saves it as an environment variable called DATABASE_URL . This URL can and does change, so you should never hard code it. Instead, we’ll use the variable DATABASE_URL in our application. If your DATABASE_URL variable isn’t set, chances are Heroku doesn’t have a Postgres instance linked to your app. You may have to create it manually. There are a few key changes we need to make to our application to get everything running. The key thing we’ll be doing here is setting DATABASE_URL to the Heroku-provided variable when we’re on Heroku. When we’re working locally, we’ll use a local file — .env — to set DATABASE_URL to point to SQLite. That way, any time we use the DATABASE_URL variable it will point to the correct database based on the environment. This installs python-dotenv and also a related module called dj-database-url. We’ll use a file called .env to tell Django to use SQLite when running locally. Now, we don’t want .env to make it to Heroku, because .env is the part of our app that points to SQLite and Heroku doesn’t like SQLite. Now that we have a .env file, we need to tell Django to use it. Hence why we downloaded the python-dotenv plugin earlier. In your project’s settings.py make the following changes to get Django to use .env. Since .env won’t exist on Heroku, dotenv.load_dotenv(dotenv_file) will never get called on Heroku and Heroku will proceed to try to find its own database — Postgres. Django security middleware should already be the first thing on the list. Never load any middleware before Django security. Add the WhiteNoise middleware right below Django security. Check out the WhiteNoise docs for more information. The idea here is to clear the DATABASES variable and then set the 'default' key using the dj_database_url module. This module uses Heroku’s DATABASE_URL variable if it’s on Heroku, or it uses the DATABASE_URL we set in the .env file if we’re working locally. Django has a variable that lets it know where to store and retrieve static files. Let’s point it to WhiteNoise. I recommend adding the above in the same place as your STATIC_URL and STATIC_ROOT variables. If you ran the Django application as specified above, you might get an error when working locally because the dj_database_url module wants to log in with SSL. Heroku Postgres requires SSL, but SQLite doesn’t need or expect it. So, we’ll use a hacky workaround to get dj_database_url to forget about SSL at the last second. Check your app against this barebones source code. Did we break anything about the old local build? Can we connect to the local SQLite database and migrate? And navigate to http://localhost:8000/admin/ and login with your newly created superuser credentials. Did we break anything on the remote Heroku build? git commit -am "Implement database connection"
Writing objects: 100% (13/13), 5.29 KiB | 0 bytes/s, done. remote:        119 static files copied to '/tmp/build_647b7c85726703d0ffc33248e829a90f/staticfiles', 362 post-processed. Can we connect to the remote Heroku Postgres instance and migrate? Just like we did for the local version. Now navigate to yourprojectname.herokuapp.com/admin/ and log in to confirm everything is working! You’ve got a fully functional Django app running on Heroku with a Postgres database. Now, you’re free to add views, urls, models, and all the other good Django stuff to your heart’s content. Questions, issues, concerns, problems, recommendations, death threats? Let me know in the comments below.